Need an overnight sail repair? Follow these five steps to make sure your sail is in ship shape and ready to fly. Any time a hundred boats get together to race, it’s bound to get exciting. But sometimes, exciting can turn to devastating. 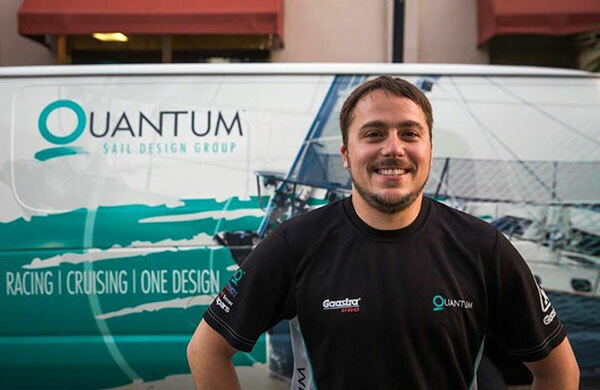 Race repairs happen, and at Quantum Sails, we aim to do everything we can to get you fixed up like new and back on the water the next day. But there are a few things you can do, to help us help you. Overnight Sail Repair - Photo by Keith Brash. When your spinnaker blows up and you drag it back onto the boat, don’t just stuff it in the bag—you’ll be paying overnight rates to have us dry your sail and it will likely be the last one done. Instead, pull the kite up on the lawn or on deck as soon as you hit the dock to get it dried out before you take it up to the van. Poked the pole through the kite? Ripped out a batten pocket? 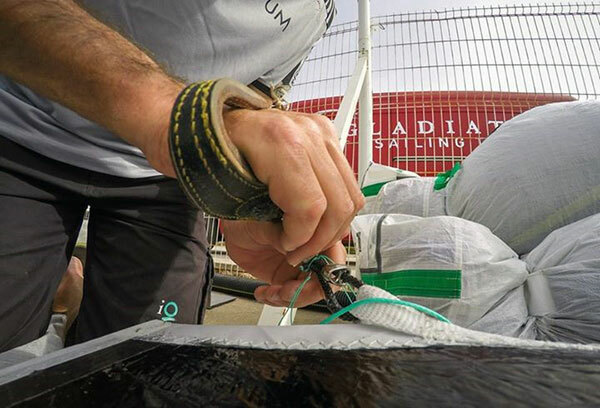 Take a picture of the repair either while the sail is still flying, or laid out on the grass after the race and send it to us (our contacts are at the bottom of this post). Also mark the repair with a piece of masking tape or pull the torn section of the kite to the top of the bag. The more data you can give us about the damage to your sail, the more efficient we’ll be at fixing it. Figure out where the van is located. But don’t wait until five o’clock to bring your sails up to us. The earlier you bring us your repairs, the better chance we have at completing the work overnight. If you have a particularly difficult repair, it also pays to let us know it’s coming via text message even before you’re off the water. During regatta week every Quantum® customer, first-timers and long-timers, must pay for overnight repairs with a credit card. Make sure you have a credit card in your pocket or give one to your crew when they bring up the sails. All you or your crew has to do is fill out a quick form, and the next morning your good-as-new sail will be bagged, tagged, and waiting for you at the top of the ramp. Big regattas are stressful for everyone, owners, crew, and servicemen alike. Our servicemen are sailors too, and they’ll be on the water all day and sewing sails all night. It makes the experience a whole lot more pleasant for everyone when all parties are ready to work together with a positive attitude.